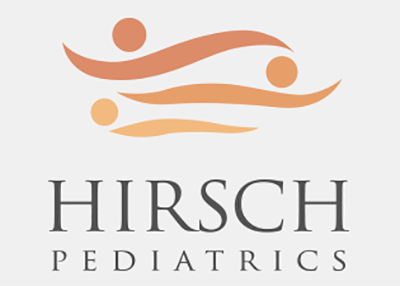 At Hirsch Pediatrics, we partner with parents to help babies and their families thrive. We strongly believe in the parent / pediatrician partnership and work daily to ensure families have the support they need to raise a healthy baby. That is why we are so pleased to partner with Sharon Curry, BSN, IBCLC who specializes in breast feeding support. What is the Hirsch Pediatrics Thriving Baby, Healthy Mom Program? The Hirsch Pediatrics Thriving Baby, Healthy Mom Program was designed by Dr. Hirsch in partnership with Sharon Curry to provide support to breast feeding moms and to promote successful nursing and bonding. In 2016, Hirsch Pediatrics received the Maryland Breastfeeding Coalition “Breastfeeding-Friendly Healthcare Provider” Gold Level for our commitment to support breastfeeding moms. How do I participate in the Hirsch Pediatrics Thriving Baby, Healthy Mom Program? All breast feeding moms are encouraged to schedule Thriving Baby, Healthy Mom appointments to evaluate both the physical and emotional needs of the breast feeding mom. What can I expect at my Thriving Baby, Healthy Mom Appointment? Moms will meet with our Hirsch Pediatrics lactation consultant for an extended appointment up to 90 minutes long. Below please find a sampling of topics that will be covered at the appointment. In addition to answering individual questions, Sharon will. . . Discuss optimal feeding schedule and care plan to meet your goals. Examine latch and discuss techniques to improve comfort of breastfeeding. Review the use of various breast feeding supplies and pumps to improve overall comfort and success. Arrange for hospital grade breast pump if needed. Assist breastfeeding moms with returning to work strategies. Evaluate for postpartum blues and postpartum depression and discuss treatments or referrals if needed. Arrange follow-up office appointments and/or phone calls as needed. Will my insurance cover a Thriving Baby, Healthy Mom appointment with the Hirsch Pediatrics lactation consultant? Yes! 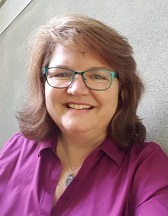 All office appointments with Sharon, the Hirsch Pediatrics lactation consultant, are covered in-network with your insurance. As a reminder all in-network care may still have a copay or deductible. Hirsch Pediatrics offers FREE prenatal breastfeeding classes by our lactation consultant, Sharon Curry, to expecting parents. The prenatal breastfeeding class is from 5:30 – 6:30 pm and immediately follows our 5:00 – 5:30 pm group practice interview with Dr. Hirsch. Note: Expecting Dads are also encouraged to attend the prenatal breastfeeding class!